If you're a veteran when it comes to sports nutrition, you'll no doubt love our massive online range of supplements. However, if you're a newbie, we appreciate the vast number of products available can be a little daunting. 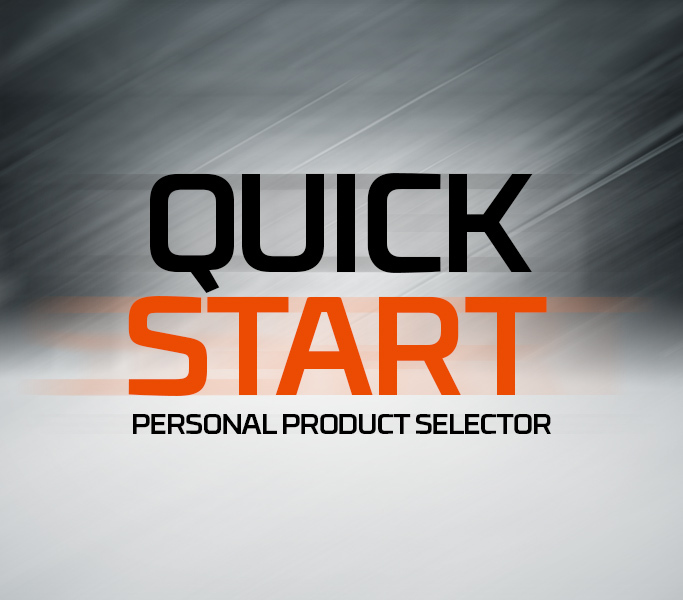 Our Quick-Start feature is designed to lend a helping hand when choosing the right products for your specific goal and profile. If you equip yourself with the optimum supplement mix, you greatly increase the chances of reaching your goal faster. Just enter a few details about yourself and we'll provide you with a number of personal product recommendations created by the nutrition experts at TPW™. Now that's what we call PERSONAL nutrition. And the best part - it only takes 30 seconds to complete. Just hit the button below to get started.